Gold prices held near four-month highs on Wednesday even as a stronger dollar made bullion more expensive for holders of other currencies. The price of gold has risen by about 8 percent since mid-December, helped by a weakening of the dollar to a three-year low against a basket of major currencies. But the euro gave up its three-year high against the dollar on Wednesday after comments by European Central Bank officials suggested they may be concerned by the strength of the European single currency. "The euro is down a bit against the dollar today, which has led to gold coming off its highs," . Spot gold was down 0.1 percent at $1,337.22 an ounce at 1131 GMT, close to Monday's peak of $1,344.44, its highest since Sept. 8. U.S. gold futures were flat at $1,337.30. Butler said that gold is likely to remain within a range of $1,300-$1,340 in the short term as the dollar remained weak. 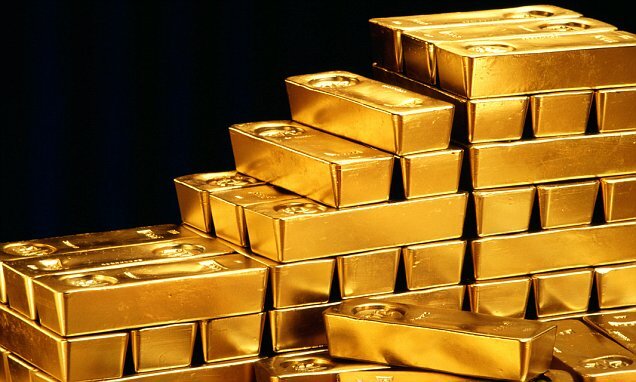 However, the risk that global share prices could fall from record highs and strong growth around the world could stoke inflation would support gold in the longer term, he said. "Concerns regarding (share price) overvaluations and the possibility of rising inflation have reignited interest in gold". Funds' bets on higher gold prices have surged, with investors' net long positions rising to almost 200,000 contracts from fewer than 80,000 in mid-December. "The past three weeks have seen the fastest rise in speculative positioning in gold on record." On the technical side, resistance was at $1,350 with fibonacci support at $1,311.40 and momentum indicators suggesting gold is likely to rise. In other precious metals, silver was flat at $17.20 an ounce while platinum rose 0.3 percent to $1,001.30 after touching its highest since Sept. 8 at $1,006.60. Palladium was up 0.9 percent at $1,104, close to the $1,138 record high hit on Monday.